Love the addon-thank you for all the work on it! My question is, is there a way to set up the tool so that even tho a spawn has been detected for an achievement, it will still alert if the spawn has a special drop that has not been collected, toys and such, without having to disable for all spawns. Basicly we will then have a Realm Wide tracker, so lets say im walking in Stormwind and somebody else with the addon is walking in Storm Peaks and meats up with Skoll.. This will allow me to see that A certain player has found Skoll on "Storm Peaks"
Alreayd made a small addon that does just this , but it would fit so nicely into npc scan since it uses dame detection methods etc.. There have been at least three updates since 7.3 went live. I love NPCscan but I am having a problem atm with NPCscan Overlay witch I am new to. I have both installed but they are not merging as they should. 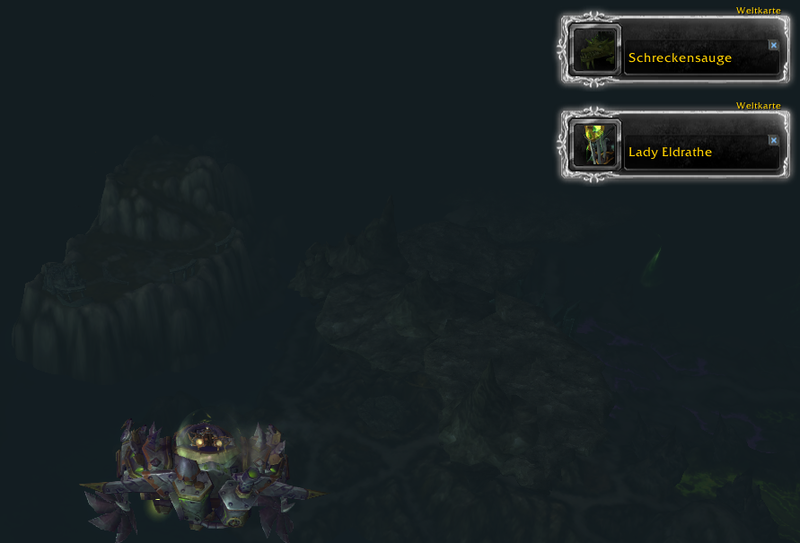 in my interface addons they are showing as two different addons instead of the Overlay being under the NPC Scan options. I believe this is causing the Overlay paths to not show up on the main map. I have deleted cashes, checked and unchecked all boxes, and ran only those two addons and still the paths will not show on my map. what am I doing wrong? or is this a known issue? _NPCScan is no longer in existence; I threw its code away and started over, with NPCScan being the result. At some point, I intend to do the same to .Overlay but haven't yet found the time. When I do, they'll likely integrate in that manner again. The current problem with the overlays not showing up is file corruption from CurseForge's packager in the latest update. To fix this, you'll need to download the old version, extract it, and copy its PathData.lua file over to the new installation. I'm hoping the CurseForge issue will be fixed soon, so I can make a new build. See https://www.wowace.com/projects/npcscan-overlay/issues/73 for details. Read the post two up from yours. When you leave Dalaran with a flying mount, something goes nuts with all the "rare" mobs on Broken Shore. Since there wasn't an update of my other addons today, I assume that NPCscan does that. The only other version I can find is from start of legion, why push an update that breaks the mod? zero sense. What does "something goes nuts" mean? Are you talking about .Overlay? If so, I didn't break the mod - the CurseForge file processor did by corrupting the binary data in the PathData.lua file. Follow the instructions I posted earlier, and you'll be up and running again. I cannot fix this myself, since another update will also be corrupted. I need to wait until the issue is fixed on CurseForge. At the moment there are only 2 rare mobs there, but yesterday it was about 5 or 6, so a lot more of these markers were shown. I just started from Dalaran towards Broken Shore, which can be seen further away. That means they've spawned and NPCScan detected them by points on the World Map - look at the upper-right portion of the two that are shown there; that's the source of detection. So, npcscan is the culprit, as I said. Unlike most of the "rares" on Broken Isles, which don't pop up if you killed them once on a the current char, this option doesn't exist for these, since they can be killed for loot every day. Is there an option to hide these NPCs, that survives an update?